Visitors to Newark, New Jersey have lots of choices about how they will spend their time. Newark has been welcoming visitors since the opening of its very first hotel on the corner of Broad and Walnut Streets. One of the oldest cities in America, it was established in 1666 by a group of Puritan settlers. There is much to see and do in Newark. You can watch a play or see a concert at the New Jersey Performing Arts Center. At the Prudential Center you can listen to live music or catch a hockey game. The Newark Museum is an attraction you don’t want to miss, with its American collection, the Tibetan collection, the Ballantine house and the Planetarium. Many call this an unexpected gem in downtown Newark. Downtown you’ll also find historic Military Park. Originally the training ground for the town’s militia, it is now a newly renovated gathering space for the Newark community and visitors to enjoy. There are all kinds of activities going on there throughout the week, including fitness programs, arts and culture programs and activities for children. Wherever you are going in the fine city of Newark, American City Express is the Newark NJ car service you can depend on to get you there. 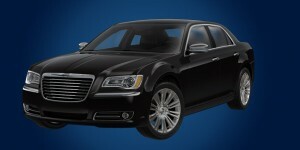 Did you know airport car service is our specialty? With first rate service to all the major airports in New Jersey, New York and Philadelphia, American City Express is your provider of world-class airport car service when and where you need it most. We like to say that our customers are the most important part of our business, and it shows in our service. We treat every client like they are our only one. The friendliest customer service is just an everyday part of the American City Express experience. All of our drivers are consummate professionals. They are well-trained and ready to deal with any situation. When picking you up at the airport we check your flight status to ensure an on-time pickup. Our drivers are experienced and well acquainted with the area so they can make recommendations to make your trip as easy and pleasant as it can be. While airports are very busy places, we simplify things for you by taking care of the transportation details, so you can focus on other things. 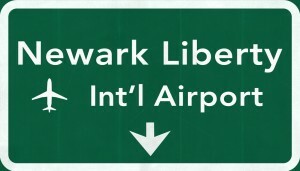 We want to make your next trip into or out of one of our local airports easy and convenient for you.